PowerPro is a modern, flexible, and affordable Dealer Management System Software package designed specifically for the Powersports, Outdoor Power Equipment (OPE) and Rental Industries. It’s easy to install and use so you can be up and running quickly. In a matter of just a few minutes, you can be processing sales, adding customers, creating repair orders, and printing professional looking invoices. 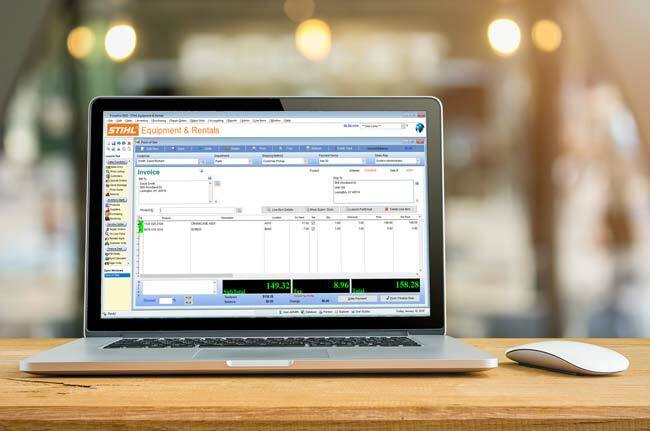 PowerPro offers everything you need in a Dealer Management System, from Sales, Service, and Special Orders to Accounting and Detailed Reports. The Integrated F&I Module and Customized F&I Contracts make processing a Major Unit sale quick and painless. Plus, the F&I contracts present a professional image to your customers while helping to reduce mistakes. For those who love QuickBooks, PowerPro easily interfaces with this popular accounting software. The MicroFiche Interface Module seamlessly integrates PowerPro with PartSmart, PartsManager Pro, HLSM and FicheFinder. With this module, you can quickly lookup those obscure components and send them directly to an Invoice, Cost Estimate, or Repair Order with the click of a button. It doesn’t get any easier! This is just the tip of the iceberg. PowerPro offers extensive functionality in an affordably priced package. Plus, it’s modular so you can purchase only the features you need, when you need them. You can start with basic Sales and Inventory Control, and add Repair Orders, Accounting, and other modules when you’re ready! Our unique and flexible design allows you to customize PowerPro based on your needs. After all, isn’t that the way it should be? We think so, and we’ve designed PowerPro with this in mind. If your current system is inadequate, outdated, or just too darn expensive, you owe it to yourself to take a close look at PowerPro. We are confident our innovative software will help add value to your business and result in your ability to provide better service to your customers. For Motorcycle, ATV, Marine, Power Equipment, and Auto Dealers, achieve greater profitability and customer satisfaction with PowerPro. Take PowerPro for a spin today! We offer a 30-Day fully functional test drive that won’t cost you a penny. Check it out! It’s easy with PowerPro! © 2019 PowerPro DMS. All Rights Reserved.